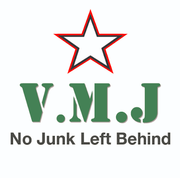 We are a Veteran owned and operated company providing you with a convenient way to rid your home of old, damaged or unused items that are no longer of value to you. We appreciate the service and sacrifice our Veterans have provided our country, and have made it our personal goal to provide employment to as many military Veterans, their family members and active duty service members as possible. We partner with a number of charitable organizations and give back to the communities around us. We also give back to our Veteran family members through these organizations and by providing family members with opportunities for employment with us. Rate and review Vets Move Junk in Alamo, CA, United States! Share your experiences at Vets Move Junk with your friends or discover more Contractors in Alamo, CA, United States.